The Austrian Flight Simulation Magazine "FlightXPresss" has become my second home in the simulation world over the last few years. Founded in 1998 by Guido Fritdum with Stefan Schäfer of Pilot's Software, it has become the standard reading in the German speaking world for all flight simulation enthusiasts. 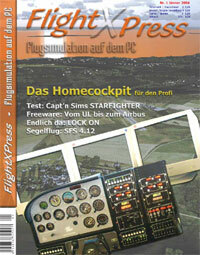 FlightXpress now includes over 100 pages per issue with feature articles on all subjects of Flight Simulation. Reviews: FlightXpress reviews new software, payware as well as freeware as soon as they hit the market, often before. How To Features: If you are looking for tips and tricks, this is where to find them. Travel Reports: Often, people travel places and let you know about them and how to find them in FlightXpress. Flights to be flown: I have had this series for almost 4 years, it contains fully prepared ready to be flown by enthusiasts all over the world. 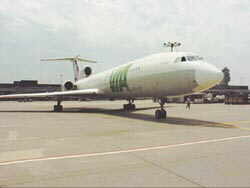 My part in it: Since issue 1 I have written about 150 features within FlightXPress and those are only the ones I remember. 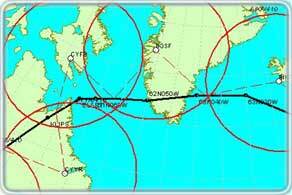 I also regularly attend the FlightXpress Forum, where most of the German speaking flight simulation gang meets.